The Curtiss CR was a racing aircraft designed for the United States Navy in 1921. 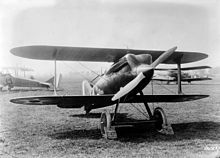 It was a conventional single-seater biplane with a monocoque fuselage and staggered single-bay wings of equal span braced with N-struts. Two essentially similar landplane versions were built as the CR-1 and CR-2, which were both eventually converted to seaplanes as the CR-3 and CR-4. A refined version was developed for the US Army under the designation R-6. This latter aircraft featured refined aerodynamics included surface-mounted radiators. Picture - An Army Curtiss R-6 which won the 1922 Pulitzer Trophy with an average speed of 330 km/h. The Curtiss CRs enjoyed successful racing careers. Their first major win was at the 1921 Pulitzer Trophy race, where the CR-1 took first place, nearly two minutes ahead of its closest rival, piloted by Bert Acosta with an average speed of 176.75 mph (283.49 km/h). The following year, this aircraft was modified and redesignated CR-2 and joined in the Pulitzer race by a second aircraft built to the same new standard, plus two R-6s flown by Army pilots. These Curtiss aircraft took first through fourth place, the two R-6s followed by the two CR-2s. The race was won by Lt Russell Maughan with an average speed of 205.856 mph (330,172 km/h) with Lt Lester Maitland in second place (198.850 mph/318.936 km/h). Maughan's effort incidentally broke every closed-circuit airspeed record up to 124 mi (200 km). The CR-2s took third and fourth places piloted by Lt Harold Brow (average speed 193.695 mph/310.667 km/h) and Lt Jg Al Williams (average speed 187.996 mph/301.527 km/h). 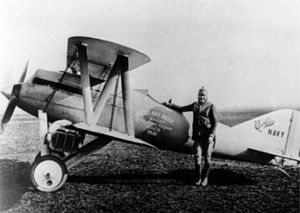 The Army built upon this success with the R-6s by using the aircraft to break the world airspeed record before 1922 was out, Gen William Mitchell flying one to 224.28 mph (359.72 km/h) on 18 October. In March the following year, an R-6 flown by Russel Maughan lifted the record to 236.587 mph (380.74 km/h). In 1923, the CR-2s were fitted with floats for the Schneider Trophy race and redesignated CR-3. The aircraft took first and second place, piloted by David Rittenhouse (average speed 177.977 mph, 285.457 km/h) and Rutledge Irvine (173.932 mph, 278.970 km/h). Following this victory, one of the aircraft was further modified as the CR-4 for an attempt on the world airspeed record for seaplanes. It achieved this in 1924 with a speed of 188 mph. Taylor, Michael J. H. (1989). Jane's Encyclopedia of Aviation. London: Studio Editions. pp. 796. World Aircraft Information Files. London: Bright Star Publishing. pp. File 891, Sheet 45.